As a truck trader, classic vehicles are just one way to earn a living. Collecting vintage cars has long been a popular pastime, but trucks are starting to catch up. Classic trucks from Ford and Chevy pick-ups to early Willys Jeeps to the first SUVs of the 1960s, and everything in between are becoming more and more popular as collectibles. If you get in on the market, you can get a great classic truck for your personal collection or next project, you can get into trading and make a profit. Many great classic cars and muscle cars begin as an option for an entirely different car before proving their worth in the auto industry. For some, it can take years to show just how popular the option could be as its own model, but for others, it becomes obvious very quickly that it should be much more than an option. The Buick Gran Sport is just one example of a car which originally began as an option, and in this case, the classic car Gran Sport was considered an optional package for the Buick Skylark when it was first introduced. The story of the Gran Sport began in 1965, and it would continue until 1975. As an elongated low-riding model, the 1965 Pontiac Catalina offered many options from color and performance to engine upgrades. The full size two-door hardtop and convertible versions of the Catalina had the ability to use Pontiac’s 421 cid engine, despite the infamous General Motors ban on engines larger than 400 cid. The ban was in effect for intermediate vehicles, allowing the Catalina to skirt the rule because of its status as a full-size vehicle. This fastback further impressed with the addition of the “2+2” package option, which included the bigger engine among a handful of other upgrades. This option was phased out only 2 years later, in 1967, because it simply didn’t achieve the overwhelming successes of the GTO. Many people consider the Ford Falcon to be among the most popular muscle cars in American History. Why? The Falcon not only enjoyed huge success upon its release, but it also gave owners and car enthusiasts something to be proud of and to talk about for generations to come. Though this particular model was produced between 1960-1970, the word Falcon was originally used for a 1935 model that Edsel Ford had designed. The name and design didn’t last, and it eventually morphed into the Mercury instead. 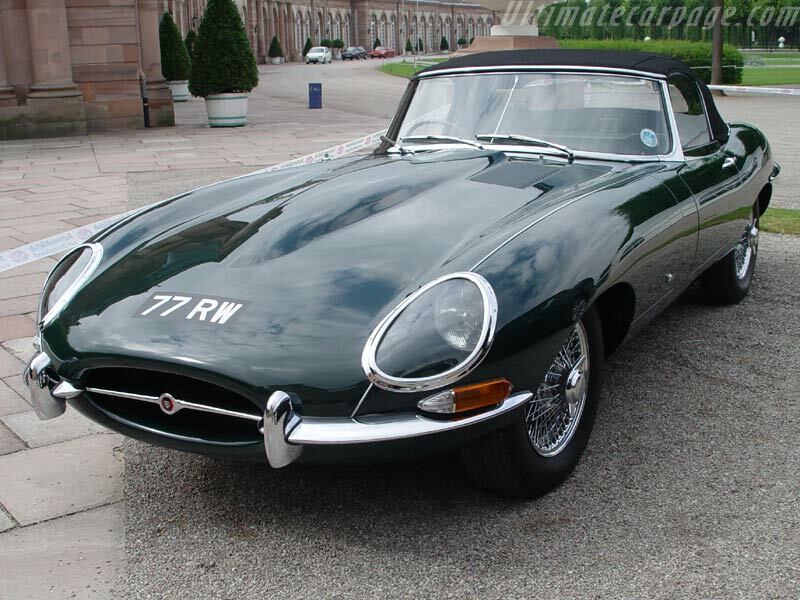 English Invasion: As one of the most prestigious car companies in classic car history, Jaguar rolled out a car in the 1960s that certainly stood out among its competitors. One particular model was given the honor of topping the list of Sports Car International Magazine’s “Top Sports Cars of the 1960s” in 2004, and was later also named one of the “100 Most Beautiful Cars” by the Daily Telegraph in 2008.